Discover the satisfying fun of spinning your own yarn! This step-by-step guide shows you how to create 80 distinctive yarn types, from classics like mohair bouclé to novelties like supercoils. 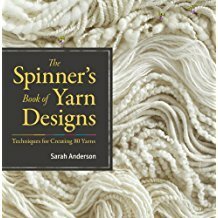 Covering the entire spinning process, Sarah Anderson describes the unique architecture of each type of yarn and shares expert techniques for manipulating and combining fibers. Take your crafting to a new level and ensure that you have the best yarn available by spinning it yourself.